At the USS New Jersey, 100 Clinton St, Camden, NJ. Vietnam Veterans saluted, and welcome to share their experiences. Artifacts, displays and once in a lifetime experiences. Vietnam era vehicles are requested. Contact: Jack Willard; (866) 877-6262, ext 144, J.Willard@battleshipnewjersey.org. At 49er RV Village,18265 Hwy 49, Plymouth, CA and in the adjacent Amador County Fairgrounds.No vendor fees other than campsite rental. All MVs welcome, any condition, no registration fee. Free admission. MV Poker run, winery tour, ladies’ event, dinner and raffle are planned. Contact: JoAnn; MVCCCampmistress@yahoo.com, (408) 238-8277 or visit www.MVCCNews.net. Sponsored by the Dixie Division MVC, from Alexander City to Cheaha State Park. Depart Saturday morning, and travel the 90 miles to the park, where we will camp overnight and return on Sunday via a different, more trying route back. Reliable vehicles recommended. Contact: Gary Poe; (256) 329-3292, poem091014@gmail.com. At Aberdeen's Ripken Stadium, Exit 85 on I-95. Free admission, public welcome. 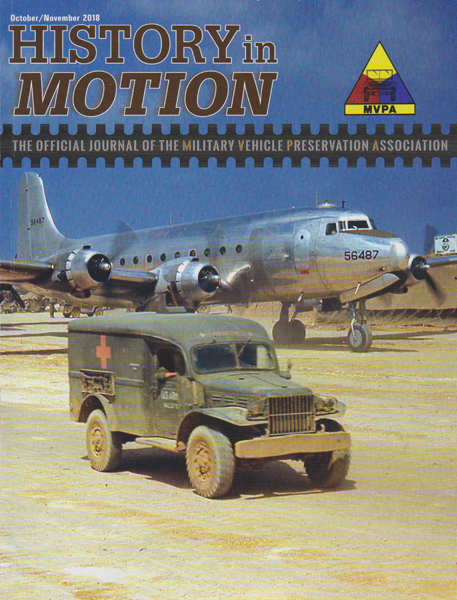 Historic military vehicles, parts, vintage radio, uniforms, militaria, packs, tents, bayonets, knives, vintage collectibles, display ordnance, great for collectors and reenactors. Acres of militaria. Vendor spaces also available. Wide paved aisles, handicap and pet friendly. 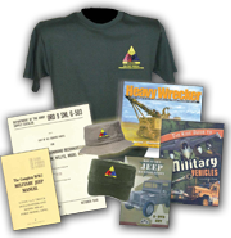 Proceeds benefit military museums and veteran causes. Contact: (800) 730-6621, or visit: washingtonbluegray.com. At the Hancock County Fairgrounds, 1017 E Sandusky St, Findlay, OH. Vehicle Registration: Linda Kimmel – (419) 721-8907, lkimmel12@aol.com. Swap Meet Registration: John Cheney Sr., (419) 306-4290, cheneyja@frontier.com.Re-enactor Registration: Jim Wilcox, (419) 349-3787, twilcox6969@yahoo.com.Commander: John Cheney II, (419) 349-4795, m2hbcrazy@yahoo.com; www.findlaymilitaryshow.org. At the U.S. Veterans Memorial Museum, 2060 Airport Rd., Huntsville, AL. For more information visit: www.usveteransmemorialmuseum.org or contact: (256) 883-3737, info@memorialmusuem.org. At the Alabama Center of Military History and the Dixie Division MVC co-hosts this at the Veteran's Memorial Museum, 2060 Airport Rd SW, Huntsville, AL. Tour one of the coolest military collections in this country at the Veterans Memorial Museum, Huntsville, AL. Contact: Randy Withrow; (256) 883-3737. At St Mére Church,Normandy, France. Featuring military WW2 Harley-Davidsons, Airborne Museum tours, Liberator Run, and “Operation Neptune”.Contact: Gérard Lameloise; lameloise@orange.fr. Sponsored by the Payette Valley Veterans of Foreign Wars Post 2738, and the Idaho Motor Pool at 6247 HWY 95 Fruitland, ID. Featuring $1.00 admission, concessions on site, military vehicle displays, and an online auction ending on 8 June at www.jbsauction.com. 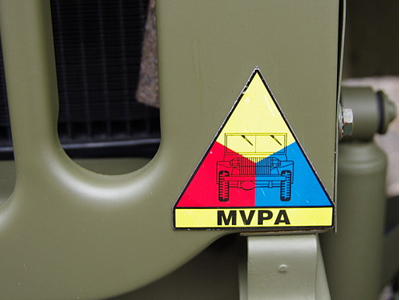 All military vehicles need to pre-register, at no charge. Contact: Shonna; (208) 452-5335 or visit: www.idahomotorpool.com. 42nd Annual CT Military Vehicle Show & Flea Market at the Chester Agricultural Fairgrounds, 11 Kirtland Terrace, Chester, CT, 8am-4pm. Admission is $5.00 for Adults, children 10 and younger are free. 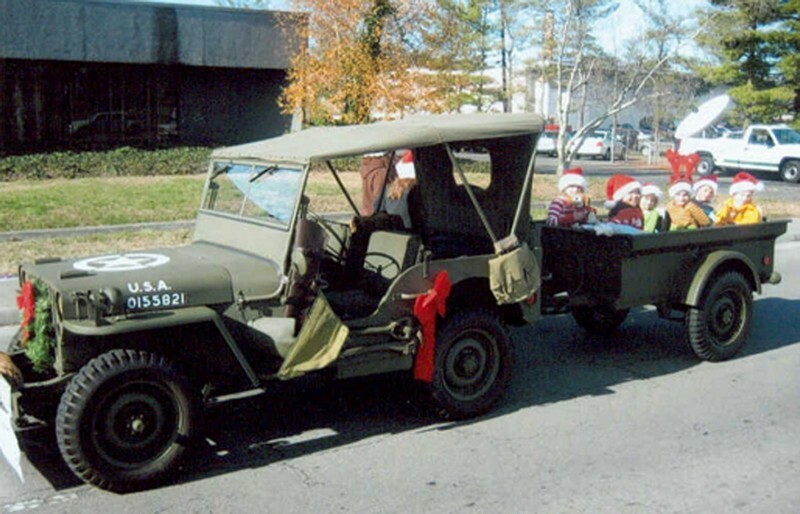 Come relive military history with antique military vehicles, displays & a flea market. Concessions on site. Visit www.comvec.org for more info. Sponsored by the Stuart Tank Memorial Association, at Riverfront Park Test Track, South Eaton St., Berwick,PA. Open 10 a.m. – 5 p.m. daily, with free admission! Featuring “Lady Lois” a Stuart built at ACF Berwick, living history encampments, military vehicles,food vendors, displays, a flea market, and live big band entertainment.Contact: Kristen Bogash; (570) 956-3630,Kristen.bogash@gmail.com or Tom McLaughlin;(570) 350-9675, tommclau@comcast.netor visit www.bringstuiehome.org. At Riverfront Test Track Park. Berwick, PA. Hosted by the Stuart Tank Memorial Association.All WWII era military vehicles welcome. Includes living history displays,encampments, convoys, vendors and weapon demonstrations. Contact: Kristen Bogash; (570) 956-3630, kristen.bogash@gmail.com. At the Hops Farm, Paddock Wood, Kent TNJ126PY. This is the largest military vehicle in Europe! Contact: 011 44 1258857700 or visit: www.thewarandpeacerevival.co.uk. In partnership with the Dixie Division MVC at the Montgomery Multiplex at Cramton Bowl, 220 Hall St, Montgomery, AL. HMVs in any stage of restoration are requested. Swap meet, displays, concessions and more. Contact: Johnny Lawrence; (334) 750-5091, jmlawrence@mindspring.com or visit: http://heartlandmilitariashow.com/index.php/about/. Join us at the York Expo Center, 334 Carlisle Ave, York PA. All active MVPA members admitted FREE. Non-members will be charged an entry fee. Mark your calendars and schedule your vacation time! You won’t want to miss this one! Vendors reserve your tables or outside spaces today! MVPA-HQ; (816) 833-MVPA, (800) 365-5798, www.mvpa.org. At the Motorama Auto Museum Ltd, 4381 Stradale Lane, Aniwa, WI. Contact Tom at Alfa Heaven; (715) 449-2141 or visit:www.centralwisconsinmilitaryshow.com. At the Motorama Auto Museum Events Grounds, 181705 Stradale Lane, Aniwa, WI. 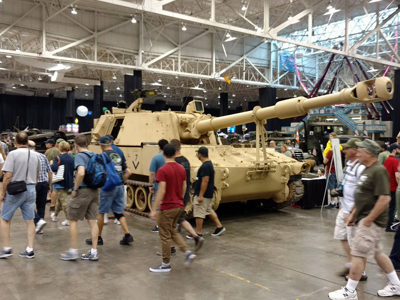 Hosted by the Red Bull HMVA and Midwest Military Vehicle Association, featuring historic military vehicles, swap meet, re-enactors, encampments, live music, and memorabilia. Concession vendors on site. Admission is $10 for adults, 12 and under are free. For more information visit: www.centralwisconsinmilitaryshow.com. 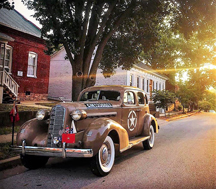 Travel from the 44th annual MVPA Convention in York, PA to begin the 2019 Lincoln Highway Convoy (TMC19). To participate you must register by 1 May 2019. This is the second MVPA convoy following the Lincoln Highway, built by the US Army in 1909! Contact MVPA-HQ to request information, schedules and routes; (800) 365-5798, (816) 833-MVPA,hq@mvpa.org. In conjunction with the Living History Weekend, 201 S 7th St, Fort Calhoun, NE. We are requesting re-enactor groups, military displays and vehicles, from the French and Indian War through present times. Fort Atkinson is the first military post west of the Missouri River, which existed from 1820-1827 to protect the fur trade on the Missouri River. Contact: Jason; (402) 468-5611, jason.grof@nebraska.gov. Boulevard Dolez, 36/4e – 7000 Mons, Belgium.Contact: Peirre Deghaye; 011 32 47822 0263, pierre@tanksintown.be or visit:www.tanksinmons.be. With the Museum of the Soldier's Open House & Fundraiser Dinner, Jay County Fairgrounds, 806 E Votaw St., Portland, IN. Vendor setup Thursday. Open to public 9 am – 6 pm daily; $5 per person, HMV crew and children under 6 FREE. Primitive camping.Military vehicles, Museum of the Soldier museum open, swap meet, and food on site. Sponsored by Indiana MVPA, in coordination with the Museum of the Soldier. Contact: Mike Lusty; Rally@IndianaMVPA.org or visit www.IndianaMVPA.org. At the Canonicus Camp, 54 Exeter Rd, Exeter. RI. Featuring displays, swap meet and flea market. Dash Plaques for the first 60 vehicles. Contact: Ray Vernon; (401) 837-1435. At Brierfield State Park, 240 Furnace Pkwy, Brierfield, AL. Sponsored by the Dixie Division MVC. There will be convoying, displays, swap meet, concessions and campfire discussions. Contact: Teresa Hallman; (205)674-3106. At 3366 Speedway Blvd, Lincoln, AL. A great opportunity to honor our veterans, display our vehicles and participate in a pre-race parade lap as part of the NASCAR race day activities. Contact: Johnny Lawrence;(334) 750-5091, jmlawrence@mindspring.com. In the heart of the Saint Francois Mountains, based from Arcadia Academy B&B featuring the Arcadia Valley Music Festival. All era street legal HMVs welcome. Free to veterans of our past tours; $10 for new bees. Featuring a Civil War battlefield, Elephant Rocks, Mark Twain National. Forest,parade on Saturday. Friday’s shakedown cruise 19 miles, main event 58 miles, Sunday 85 miles. Contact Terry Johns, halftrackjohns@att.net. At Tannehill State Park Swap Meet and Rally, 12632 Confederate Pkwy, McCalla, AL. Dinner will be provided by Steve Stevenson demonstrating his famous Military Kitchen Trailer. Contact:Ronnie Guin; (205) 631-0723, bguin0723@charter.net. Contact: Ronnie Guin; (205) 631-0723, bguin0723@charter,net. This annual event is held to honor our veterans.As usual the Dixie Division MVC are always looking for veterans to join in their vehicles as we participate in this awesome event. Contact: Ronnie Guin; (205)631-0723, bguin0723@charter.net.